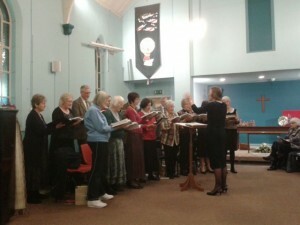 The choir meets weekly in the Church on Mondays at 7.00 pm. It is an ecumenical group, and is led by Sue Ingram. 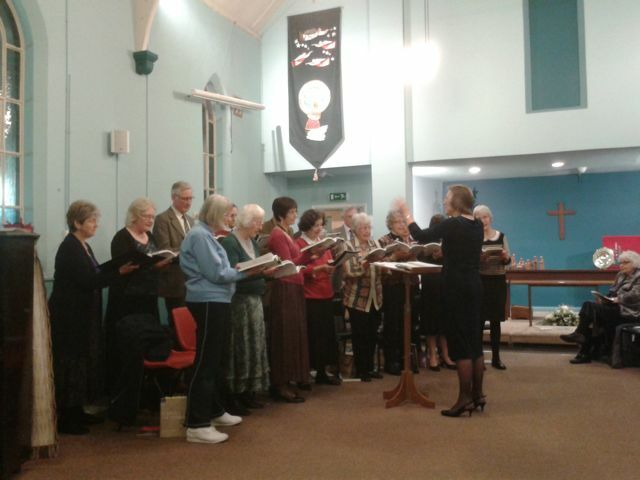 The choir sings regularly at St James on the second Sunday morning of each month, at the Methodist Church on two Sunday evenings per month, and gives the occasional concert. An augmented United Choir sings at St James on Good Friday afternoon. All singers are welcome.